Sharp 3 Bedroom 1 Bath in move in ready condition. As you walk through you will see pretty new laminate floor cover in the dining area, living room, hall and bedrooms. The interior has been nicely painted. The bathroom has a double size tiled shower with glass door. Upgrades include base boards, dual pane windows, HVAC central heating and refrigeration, kitchen counter tops, appliances, tile floor cover at Bathroom and Kitchen. Kitchen features a Gas Range and Oven. There is room to park an RV. The front & rear yard are fenced. There are 2 storage sheds. There is a Garden area. 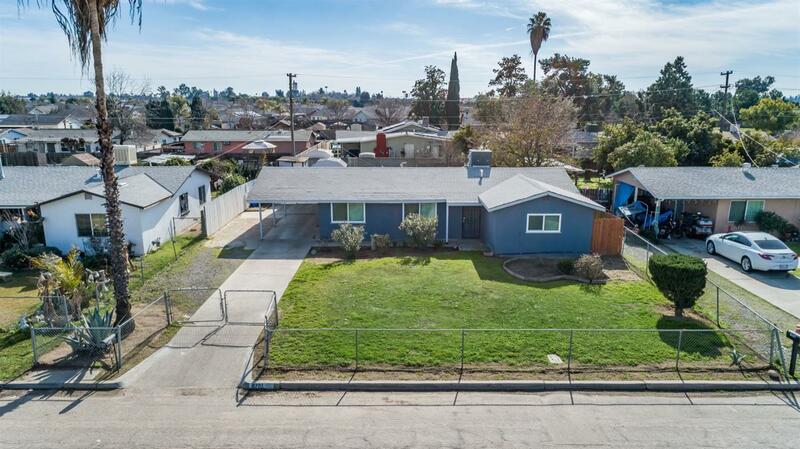 You will be delighted to see this home located east of Golden State Highway and south of East Dinuba Avenue Selma, Fresno County.